A small number of exhibition spaces are being made available at Future in Food Ireland for technology companies and consultants who are providing sustainability products and services to the Irish food and drinks processing sector. For further information and to receive an exhibitor information pack please contact + 353 46 9773434, alternatively email Ronan. Origin Green is the first national sustainability programme of its kind in the world, operating on a national scale across our entire food industry, from farm to fork. Launched by Bord Bia in 2012, the programme operates at farm and factory level, helping farmers and food producers lessen their impact on the environment whilst also enhancing society. There is considerable potential to make the Irish market a showcase for the sustainable production of food and drink products. Such a showcase can help further protect our resources, enhance our reputation and drive market preference for our products across the globe. In order to create this showcase we need to have every level of the supply chain involved. We are making strong progress with over 602 food and drink companies already registered to Origin Green. 346 of these are verified members who have used the Origin Green charter as a roadmap to develop multiannual plans with clear, measurable sustainability targets for their businesses that have been third party verified and tracked by Mabbett. Over 85,000 carbon footprint assessments have been undertaken on Irish farms to date – a world first. This assessment is based on an 18 month cycle and is conducted on a national scale taking into account individual feedback and from there continuously improving. In order to extend the scope, and strengthen the impact of Origin Green, Bord Bia has recently developed a sustainability charter for retail and foodservice distributors and operators and is now working with a number of key retailers and foodservice distributors and operators to review the content and to pilot the project. Their first verified members are The Musgrave Group & Mc Donald’s Ireland. This development in the Irish market means that Origin Green will cover all elements of the supply chain to the point where consumers purchase or consume the final product, encouraging the delivery of measurable improvements in the sustainability performance of our entire industry. The earliest known records for steam technology can be traced back to Alexandria in AD.75. It was there that a mathematician known as “Heros” or “Heron” wrote three books on mechanics and the properties of air, and presented plans for a simple “Steam Engine”. “Our history is the cornerstone that supports our current success. Continued growth allows us to push innovation in the future”. 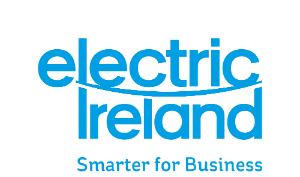 Electric Ireland is the customer supply division of ESB, supplying both the business and residential markets in the Republic of Ireland and Northern Ireland. Electric Ireland is the market leading electricity, gas & energy solutions partner to all business customers on the island of Ireland. EMC Ltd., operating since 2001, are an Engineering and Energy services company with offices in Galway and Athlone. At Future in Food,we will be exhibiting and available to discuss Products and Innovative Technologies/Services, geared towards enhancing Processes and Reducing Operating costs within the Food Sector. EMC represent World Leaders in Technology e.g. ABB; Eurotherm and SMC, providing our customers with modern State of the Art products and Turnkey Solutions, to meet their needs. These include: Validated Processes and Data Recording; IP67-69 Safety Components; Air Purification which removes Moulds, Odours and Bacteria; High Purity Components; Stainless Steel Pressed Fittings; Energy Saving; Water Treatment and Reduction. EMC specialise in providing complete Thermal Heating solution to Food Industries, from Thermosensors and Heaters through to simple and complex control components/strategies. Our MRO services also enable our clients to enhance their whole Spare Parts Division, by maximisng Savings and Efficienices, through EMC’s Global Network of Suppliers and experience gained within Food Sector to date. Whether you’re a big or small business, in a busy urban environment or a remote rural location, Flogas has the right solution for you. We supply LPG and Natural Gas, and in the Republic of Ireland we now supply Electricity for businesses. Our experience, expertise and flexible energy products combine to meet the most demanding of requirements. Global Green Sustainability is a multi-award winning technical services firm serving SME’s and multinational businesses in the food industry, pharmaceutical, medical devices, construction and engineering in helping them save money, improve compliance, increase productivity and provide support to accessing relevant funding. Global Green Sustainability has assisted food and beverage businesses in achieving Origin Green Certification and also supported businesses who already have Origin Green Certification helping them to improve on existing targets and make further savings. IPL Plastics is a 100% Irish owned company and a manufacturing partner to leading Global Fortune500 companies. Our core offering is injection moulded polypropylene which is 100% recyclable and ‘AA’ BRC Certified. Our R&D centres at Quebec, Canada and Cork, Ireland have been instrumental in developing new product designs for our customers in the Food stuffs, Retail Packaging, Nutrition, Pharmaceutical, ICT, Aerospace and Automotive verticals. With an annual turnover in excess of €500M, our operations span 17 production facilities in locations such as; The UK, North America, Canada, China and Ireland. Much more than simply a manufacturer, the combined scale and accumulated expertise within the organisation has enabled IPL to become recognised leaders in the research, development and production of a vast array of BRC Certified and Tamper Evident products. Irish Quality Centre (IQC) is one of Ireland’s leading providers of Training, Consultancy and Auditing in Quality Management Systems. We take great care in selecting highly competent, technical people who have the necessary professionalism and interpersonal skills to be able to work well with our clients, including our two Directors. Established in 1996, Polar Ice is recognised as the leading manufacturer and supplier of Dry Ice in Ireland. With state of the art manufacturing equipment and processes, Polar Ice manufacture dry ice to a food-grade standard and are certified to BRC v7 and ISO 9001:2015. Our exacting standards make us the approved dry ice supplier to some of the country’s top food producers and meat processors. Polar Ice also supply the pharma, bio-pharma, airline catering, and industrial cleaning industries. Our 12,500 sq. ft. manufacturing facility is centrally located in Portarlington, Co. Laois. We have a manufacturing capacity of 30 tonnes of dry ice per day over five production lines. Polar Ice operates it’s own transport fleet. We offer guaranteed next-day delivery and same-day urgent service, and our transport is accredited to the Freight Transport Association of Ireland (FTA) quality standard. Prochem Engineering are an Engineering Consultancy operating within the Process Industry since 1995, with offices in Kilkenny and Cork we services a number of sectors throughout Ireland. With experience across all aspects of the sector from Dairy, Meat, Food Processing to Alcoholic and Non Alcoholic drinks. Our client list includes household names and increasingly craft producers. We have build a reputation of delivering projects safely and on time for some of the main food and drinks producers in Ireland along with the continued relationships with the major Pharmaceutical, Medical Device and Industrial Companies in Ireland. Prochem Engineering deliver Engineering Solutions & Excellent People. Providing a range of ATEX and standard ventilation solutions. We also provide low energy solutions to heating and cooling issues and for appropriate projects can bring funding and finance. Serving Food, Medtech and Pharma since 1997. SMC is the market leader in the supply of pneumatic components for factory automation in Ireland, operating from a purpose built facility at Citywest in Dublin which incorporates a product showroom, warehouse and administration offices. A nationwide network of skilled sales engineers with relevant industry experience is in place to provide customers with advice and recommendations for product selection from SMC’s extensive product range providing a solution for every application. Fast delivery of high quality products at competitive prices is accomplished through our unique production system, and by maximizing our local EU production capabilities, a stable supply of product is guaranteed. TransferMate Global Payments is the market-leading choice for international banks and businesses who seek a simple, cost-effective solution when sending and receiving foreign currency payments. With one of the world’s most extensive network of bank accounts, trading in over 154 countries, TransferMate secures better exchange rates, eradicates bank fees and provides clients with faster payment services. TransferMate’s superior B2B technology platform integrates with a range of enterprise software systems, including the world’s top cloud accounting platforms. This provides a faster, easier and more cost-effective payments solution to a demanding global client base. TransferMate partners with the world’s most prominent banks and is partly owned by ING Group N.V., one of Europe’s leading banks and AIB, an Irish pillar bank. VERDE LED is a multinational commercial LED Lighting company headquartered in Ireland and is a market leader in commercial LED Lighting solutions.VERDE LED has a global presence in the medical, pharmaceutical, industrial, food processing, warehousing, sports and commercial/office sectors. Focusing on quality design and certification, all VERDE LED product meets the most stringent specification and certification requirements. All VERDE product comes with industry leading warranties and has SEAI Triple E listing. VERDE LED has an in house Design team who specialise in lighting design for new or existing facilities and a dedicated R&D Department optimising product development to ensure that we continue to manufacture premium grade product with the highest quality components, unlimited hour warranties and highest efficacy. VERDE LED offer a ‘supply only’ or nationwide ‘full turnkey solution’ from facility audit to design, installation, waste disposal and project management. We also apply or administer energy grants for lighting projects in Ireland.